It was #2 UCONN taking on #10 Marquette in a Big East rivalry. This season, many of the top seeds have been getting upset just when they get comfortable, so all eyes were on this match-up — expecting the might to fall. Unfortunately for Marquette, they lost one of their best players for the year. Dominic Jones broke a bone in his foot early in the first half. Sadly, that’s not just the end of James’ season, but also the end of his college basketball career, and perhaps his basketball career in general, as NBA scouts tend to get nervous about injured players. After that, it was all UCONN, as their guard, A.J. Price WENT… OFF! He had 36 points on the night. UCONN 93, Marquette 82. And the rest of the day’s big news came out of the NFL, as there were some very notable departures. The Tampa Bay Buccaneers made their new ‘we-are-rebuilding’ image public today, releasing some very storied veterans. They dropped wide receiver Joey Galloway, a guy who turned his career around in Tampa Bay and became a consistent deep threat. He was even a fantasy stud a few years ago. Next up, Warrick Dunn, a guy who came back to Tampa Bay because it’s where he started his career. Dunn is one of those guys who just doesn’t age — a supreme athlete. He even put up some nice numbers last season, but the Bucs want to head in a younger direction. Most notable, however, was defensive back Derrick Brooks. Brooks was easily the best player on the Bucs during this decade, and was of paramount importance during their Super Bowl year. He still has a few good years left on him, but the Bucs are looking to the future. And earlier this month the Bucs let go of their starting QB, Jeff Garcia. They’re definitely in rebuilding mode, but look for them to be awful next season. Elsewhere in the league, the NY Jets are parting ways with one of their storied veterans. Laverneaus Coles, a fan favorite, and popular target for both Brett Favre and Chad Pennington before him, is leaving the Jets organization. He too could become a solid 3rd receiver option for a team looking for some depth. Seattle could desperately use his skills. However, Coles has been rather injury prone in his career, and that will be a big question mark for any team thinking of signing him. But, there was one big reward today. 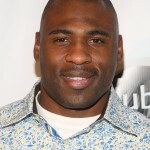 The New York Giants have signed their star running back, Brandon Jacobs, to a 4-year, $25 million dollar deal. Jacobs is a bull of a running back, essentially 264 pounds of pure muscle. He finally came out of his shell last year, and bowled over defensive lines when they needed him too, and almost guaranteed a touchdown on the goal line. Now the Giants have put the franchise tag on him, and will run behind him on their way to another Super Bowl. Wow, it appears that the worst place you want to be in college basketball, is sitting on the #1 throne. Teams can’t sustain the seat very long before getting upset. It just keeps happening. The latest victim: Pittsburgh. 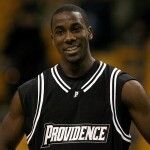 They assumed the top spot earlier this week, but were greeted with pure kinetic force from an unranked Providence team. Pitt’s top player, DeJuan Blair, got in foul trouble, and Pitt (like Oklahoma) isn’t the same team without its star on the court. 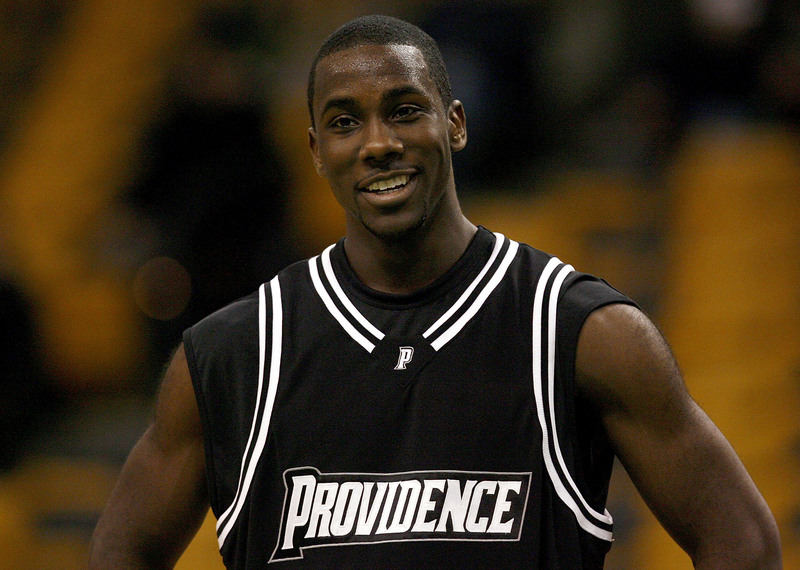 Providence even got up by 20 points, led by their guard Weyinmi Efejuku (yeah, you pronounced it right), who had 16 points on the night. At the end, Providence fans stormed the court, and the Friars strengthened their case for an at-large tournament bid. The new-look Chicago Bulls looked to change their losing vibe against the Orlando Magic, one of the top teams in the East. The Bulls recently acquired Brad Miller, Tim Thomas, and John Salmons from the Sacramento Kings, and they looked fantastic in their Chicago debut. For the first time this season, the Bulls seemed to be jelling. Derrick Rose led the way for the Bulls with 22 points, and he looked very comfortable with his new teammates. By the way, if you haven’t seen the #1 pick of the draft play yet, you should — he’s amazing! Just a pleasure to watch. Dwight Howard had 26 points on the night for the Magic, but it just wasn’t enough. Chicago 120, Orlando 102. Elsewhere in the NBA, there’s rumor that Mr. Troublemaker, Stephon Marbury, might be Boston bound. The Knicks have completely turned their back on Stephon this season. Now it looks like they might have to buyout his contract if he heads to the Celtics. Plus, the Knicks don’t want to help out a rival in any way. However, by letting him go, the Knicks will save 5 million dollars in cap space. From Boston’s point of view, their bench is a little lighter than it was last year, and adding Marbury to their roster would give them a very talented player (albeit ball-hog and chemistry killer). And, Boston’s chemistry is what makes them so strong. If Marbury disrupts this, the Celtics could be in trouble in the post-season. Finally, an era has come to an end in the NFL. 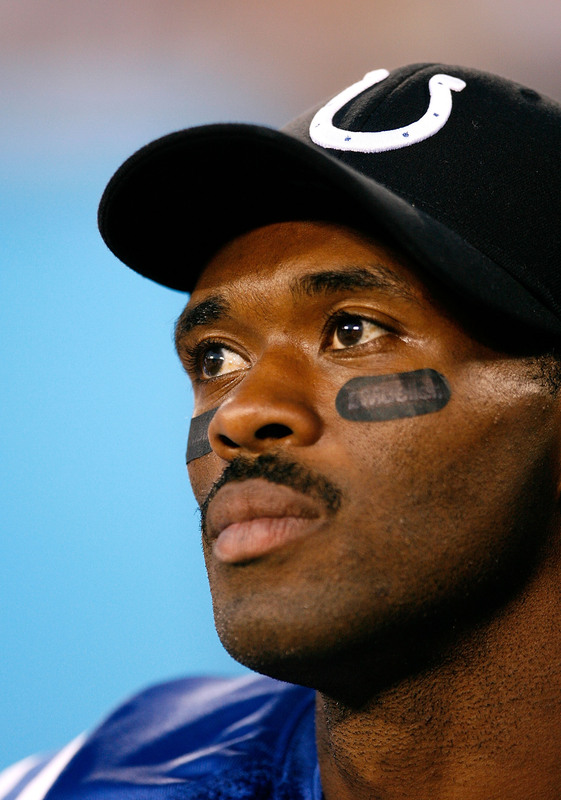 Marvin Harrison was officially let go by the Indianapolis Colts. He went from being ‘the man’ in Indy, to succumbing to injuries, to becoming the No. four receiver on the team behind Reggie Wayne, Anthony Gonzalez, and tight-end Dallas Clark. So, nearing the end of his career, he wants to look for a fresh start elsewhere — perhaps even having a resurgence similar to Joey Galloway on the Bucs or Keyshawn Johnson on the Panthers a few years ago. 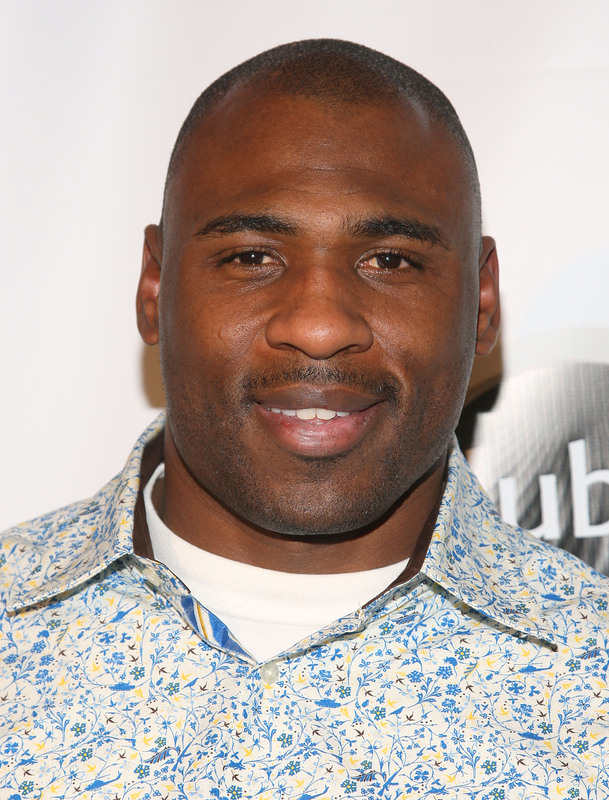 It’s rumored that he might want to play for Philly, and reunite with his former college teammate Donovan McNabb. It could be an exciting statistical year for Harrison this upcoming season. An amazing finish out of the NBA. In a Monday night showdown between the Philadelphia 76ers and the New Jersey Nets, the game came down to literally a tenth-of-a-second. The Sixers Andre Iguodala put Philly up one with a free throw with just 1.8 seconds to go. Then, with no timeouts left, the Nets had to immediately inbound. They threw it in to all-star PG Devin Harris who dribbled up to half court, had the ball deflected when attempting to shoot, got the ball back, then threw up a prayer from half court….. AND IT’S GOOD!!! The fans in New Jersey went absolutely crazy. But… the shot needed to be reviewed multiple times by the ref. The final analysis was that the ball left Harris’ hand just one tenth-of-second (if not less) before the buzzer went off. Nets win with a lot of luck. New Jersey 98, Philadelphia 96. In some other NBA related news, Charles Barkley, the Hall of Fame Power Forward, TNT basketball analyst, and just all around outspoken guy, pleaded guilty to his DUI charge. Sometimes athletes will list every excuse in the book, but Barkley took it (hard) on the chin, and will now have to serve five days in jail. 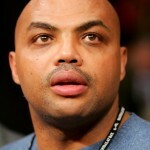 But Barkley doesn’t seem to mind much, saying, “I think that a DUI is unacceptable. That can’t happen and I’ve got to challenge other people, not just celebrities or jocks. 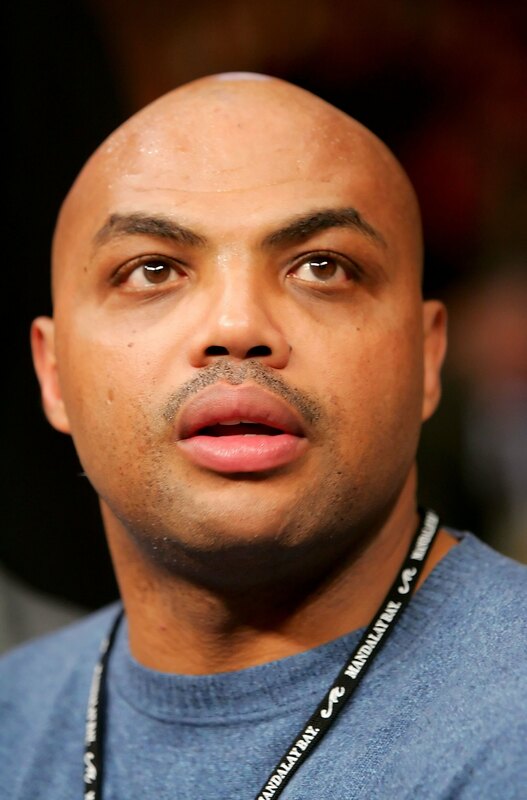 You have to really think before getting behind the wheel after you’ve been drinking.” Barkley will definitely keep a low profile for some time, but he’ll be back bashing the current crop of NBA players soon enough. The Pitt Panthers once again reign supreme, as they were knighted with the #1 ranking. And their big man, DeJuan Blair, has gone from great Big East player to one of the best players in college basketball at the moment. It’s said he might be a first-team All American. Well, even with Pitt on top, the featured (and much anticipated) game of the night was #3 Oklahoma v. #15 Kansas in what is always a rivalry match-up in college basketball. Unfortunately, Oklahoma was without their best player, Blake Griffin, and thus the game lost some of its luster. Without Griffin, the Sooners are simply a completely different team. Their guard, Willie Warren, put up a noble 23 points, but this game belonged to Sherron Collins and TyShawn Taylor of Kansas who EACH put up 26 points. With the win, Kansas moves to the top spot in the Big 12, and Oklahoma will inevitably slide a little more in the rankings. Kansas 87, Oklahoma 78. Finally, a trade out of the NFL. 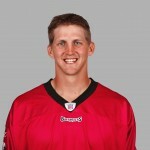 It appears that Minnesota Vikings are close to a deal with Houston Texans back-up QB Sage Rosenfels. Rosenfels played a few pretty decent games for the Texans this year during Matt Schaub’s injury stretch, but he’s most famous this season for the colossal choke-job against the Colts. The Texans had the game locked up, and basically just needed to avoid making a major mistake. However, in the game’s closing minutes, Sage Rosenfels had three turnovers, and allowed the Colts to execute a miracle rally. So, the Texans were probably happy to get some draft picks from the Vikings in exchange. And the Vikes are probably happy to have a serviceable quarterback as opposed to Tavaris Jackson or (Old Man) Gus Frerotte. #9 Duke was hoping to rebound from some recent losses against a very tough #8 Wake Forest team. Wake Forest beat Duke earlier this season, but they have never swept Duke in the regular season. Duke was ahead by a whopping 22 POINTS, and they blew the lead. Blew it! However, thanks to Duke’s Gerald Henderson, who had a career-high 35 points, Duke held on to win the game. Now, Wake Forest, who started the season super hot, are 4-5 in their last nine games. They could be upset bait come March. Duke 101, Wake Forest 91. The Miami Heat’s Dwayne Wade, had a monster game against the Orlando Magic last night. He scored; count ’em, 50 points! Normally, when a player scores that many, his team wins. But, unfortunately for the Heat, the Magic were just too strong, and easily cooled the heat. The Magic’s Dwight Howard had a fantastic game himself with 32 points and rebounds. And Orlando’s new point guard, Rafer Alston, had a nice game as well with 12 points and 9 assists. The Magic will be tough to beat this post season, while Miami is just hoping to make the playoffs. Orlando 122, Miami 99. Elsewhere in the NBA, an offensive showdown between the Phoenix Suns and the Boston Celtics. The Suns have been playing extraordinary since ditching head coach Terry Porter. But unfortunately, they lost their star Power Forward Amare Stoudamire for the season. Now, with the defending champs in town, they would need to buckle down. They did their best, and had five players scoring double-digits, but the Celts were just too much. Rajon Rondo did most of the damage with 32 points, and Ray Allen was right behind him with 31. It’s as if the Celtics didn’t miss the injured Kevin Garnett one iota. Boston 128, Phoenix 108. Finally, some interesting news out of the NFL. 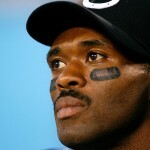 It appears that the Colts star wide receiver, Marvin Harrison, might be asking for a release. “Star” is used liberally, as Harrison is getting up there in age, and the Colts have favored Reggie Wayne more, but Harrison was definitely a key part of the Colts heyday (that is, if they’re not still in their heyday. Peyton did win MVP). But, lately, Harrison hasn’t been their go-to-guy, and he probably thinks he’s got some good years left in him. Whichever team gets him might see a resurgence, similar to when Jerry Rice went to the Oakland Raiders. We shall see. With #1 UCONN’s loss earlier this week against Pitt, there was an opportunity for #2 Oklahoma to nab the top spot. All they needed to do was beat their unranked rival Texas in Longhorn-ville. The game was very close in the first half, but then some bad luck for the Sooners, as their superstar (and probable #1 pick in the NBA draft) Blake Griffin went out of the game with a concussion. And, unfortunately, it’s been Griffin that’s made the team this good. The game was still pretty tight in the second half, and Griffin was begging to come back in, but the medical staff wouldn’t allow him. And the Sooners just couldn’t pull off the win. Texas 73, Oklahoma 68. Since Oklahoma couldn’t capitalize on UCONN’s loss, that left a chance for #3 North Carolina to take it. All they needed to do was defeat an unranked Maryland team. However, the Terps weren’t going to just lay down and die especially in their own house. Their coach, Gary Williams, even tried to pump up the crowd before the game. The Terapins fell down by 16, but coach Gary Williams told them to hang in there and claw their way back. And… they… did. All thanks to Greivis Vasquez. He did something that no Maryland player has done since 1987. He got a triple-double, only the third triple-double in Maryland history (35 points, 11 rebounds, 10 assists), as the Terapins beat the Tar Heels in overtime, and ruin their #1 hopes. Maryland 88, UNC 85. So the chance fell to #4 Pitt. They just needed to beat an unranked DePaul, but as the above games indicate, that’s no guarantee. Well, at least Pitt had a special alumnus on hand to cheer them on: Arizona Cardinals wide-receiver Larry Fitzgerald. DePaul came out strong, but Pitt’s big man DeJuan Blair was just too strong. He had 20 points in 23 points, and was a complete dominating force down low for Pitt. Pitt’s a very fun to watch finesse team this season, and after beating #1 UCONN earlier this week, they should nab the top spot again come Monday. Pitt 81, DePaul 60. Finally, some sad news from the NBA. Utah Jazz owner Larry H. Miller has died from complications due to diabetes. Miller was one of those owners who was a big part of the team and beloved by the community. Thought of a very nice man and fervent Jazz fan who stood out among many money-hungry type owners in sports. He was there during the exciting Karl Malone/John Stockton era, and even got to see his Jazz play in the 1998 NBA Championship in an exciting series against Michael Jordan and the Chicago Bulls. Before last night’s game against the New Orleans Hornets, the Jazz paid tribute to him by shinning a spotlight on his court side seat. Then the Jazz took home a win in his honor, beating New Orleans 102-98. It was trade deadline day, and there were a few last minute deals. First up, the Orlando Magic lost Jameer Nelson, their all-star point guard (and former St. Joes stand-out the year they went undefeated and got a #1 seed) for the season. Finally, the Magic had a point guard to general a very talented roster (Dwight Howard, Rashard Lewis, Hedo Turkoglu), and then they lose him for the year. They immediately started looking who was out there, and who could step into that pivotal role. Well, they found a guy. Rafer Alston of the Houston Rockets is now officially on the Magic. Rafer was a key player in Houston’s 22-game win streak last year, proving that he can run the show if need be. Now he’s got a shot to far in the playoffs. Second, the Knicks were looking to free up some cap space. They had to part ways with Tim Thomas, Jerome James, and Malik Rose, but they actually acquired some pretty good players. They got Larry Hughes from Chicago, which could give them some decent guard play. That is… if Hughes goes into competitive mode. He was in this ‘zone’ back when he was with the Washington Wizards, but when he was on the Cavs and Bulls — he was in ‘I’m-bored-just-give-me-a-paycheck’ mode. Hopefully, Knicks coach Mike D’Antoni can motivate him to SOME degree. Amidst all the A-Rod news, there is something else to take note of. 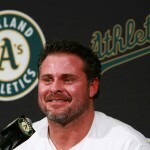 Seven years ago, Jason Giambi left Oakland to play for big bucks with the New York Yankees. Giambi played well during that time period, but he never became completely dominant like the Yanks would have liked. He was even injury plagued over the past couple seasons. 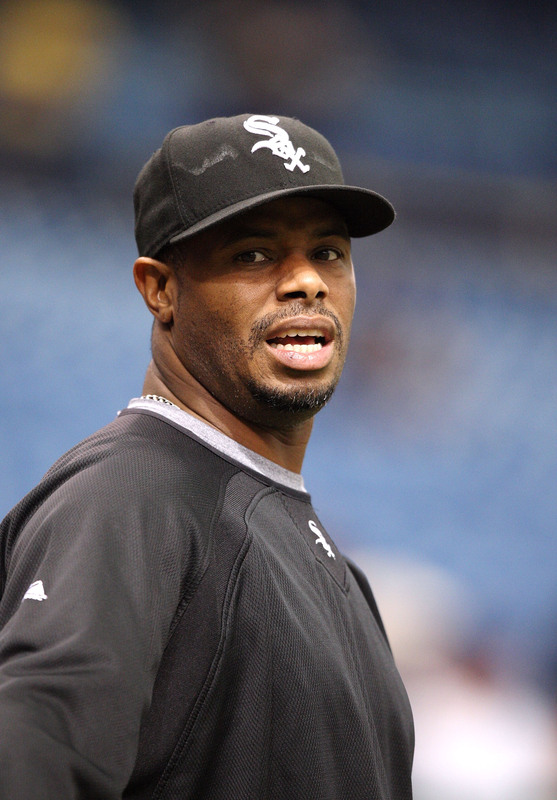 Well… now he’s returning to the team that made him famous… the Oakland A’s. 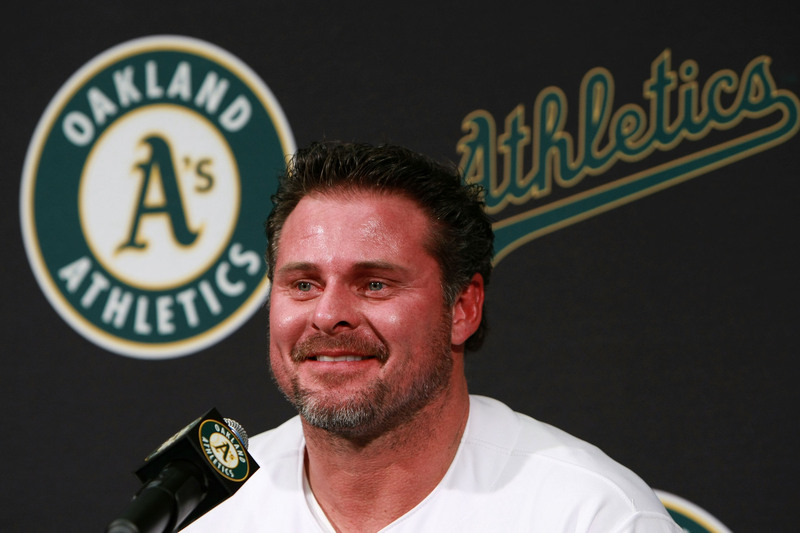 And as Manny Ramirez has showed us, Giambi still has a lot of good years left in him, and could potentially have a complete resurgence up in Oakland. Finally, an old friend will be rejoining us in the sports world next week. Tiger Woods will come back to the PGA tour. He’s been out for the last eight months recovering from a knee injury. Now, he’s returning to play in the WGC-Accenture Match Play Championship. When he’s gone, the golf world seriously misses him. His mere presence makes the sport 100% more exciting. Plus, it’s fun to watch the terror on his competitor’s faces when he’s out there hitting those incredible putts. It’s official, Ken Griffey Jr.’s career is coming full circle, and he’ll finish his baseball life in Seattle where it all started. Granted Griffey was plagued by injuries in the second half of his career, but his presence alone should do wonders to Seattle’s morale. The Mariners finished last season with the second worst record in the league, and they need any asset they can get to turn this franchise around. 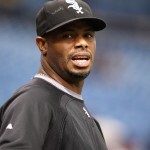 And who knows, perhaps Griffey makes a full blown comeback next season, and returns to all-star prominence. Either way, Seattle is truly ecstatic. The Phoenix Suns did it AGAIN. Earlier this week, they destroyed the Los Angeles Clippers 140-100 in their first game under new coach Alvin Gentry. Now… the Clippers would get a chance to avenge that loss on their home court. To allow 140 points in only four quarters is simply embarrassing and a brazen display that their defense has no idea what it’s doing. Well, unfortunately for the Clips, the Suns put up 140 yet again. Actually, even worse… 142. This essentially documents the fact that Phoenix can score 140 or more points on the Clippers whenever they want. It’s a given at this point. Amare Stoudamire led the way with 42 points, and the Suns continue to heat up. Phoenix 142, LA Clippers 119. Elsewhere in the NBA, a very funny story over a trade. Earlier this week, the New Orleans Hornets, in an effort to cut cap space, shipped Tyson Chandler off to Oklahoma City. He freed up some decent money, but was also having a pretty bad season. In other words, New Orleans said, “Thanks… but no thanks” to Chandler. Well, Mr. Chandler failed his physical, and thus the trade couldn’t go through. So Oklahoma sent him back to New Orleans. Now, basically, Tyson Chandler is playing for a team that openly doesn’t want him. That’s like dumping your boyfriend, moving out of his house, realizing that getting a new place is a pain, and asking to move back in for a little while. Yeah… pretty uncomfortable. Finally, another big trade before the NBA trade deadline. The Sacramento Kings have sent former all-star center Brad Miller and John Salmons to the Chicago Bulls in exchange for forwards Drew Gooden and Andres Nocioni. This trade is more about freeing up cap room for both teams, and with Kings young center Spencer Hawes developing into a pretty solid player, they didn’t need to hang onto the sliding Brad Miller any more. Plus, adding two tough forwards in Gooden and Nocioni to the team gives Sacramento a nice core group — especially with the surprising success of their guard Kevin Martin. As for the Bulls, they just look like they’re rebuilding for the future. Pretty sad, considering that just last season they were predicted as possible title contenders at the beginning of the season. 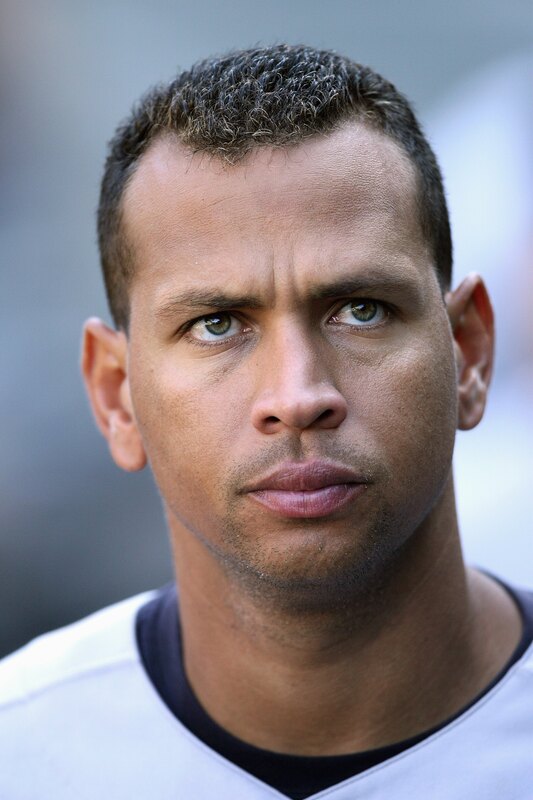 It was time to grill Alex Rodriguez yet again on his steroid use. And this time… it was in front of the press. 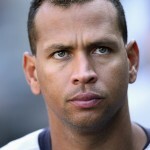 A-ROD admitted to using a drug called PED (a type of steroid). He said that his cousin helped him administer the drug, but then claimed that neither of them knew exactly what they were doing, concluding that this shows (and thus, must prove) his ignorance on the subject. He was essentially pleading an agent induced, “I didn’t know any better” brand of apology. That’s not gonna cut it in the sports world. There’s no doubt about it; his career is forever tarnished. The Phoenix Suns played their first game under new head coach Alvin Gentry. According to Phoenix sources, the Suns really like Gentry and want to play hard for him. Well, they got off to a great start, toppling the Los Angeles Clippers. And get this; the Suns scored 140 points in just four quarters. That’s incredible. Leandro Barbosa led the way with 24 points, and the Suns seemed poised for a mid-season surge. Phoenix 140, LA Clippers 100. Elsewhere in the NBA, the New Orleans Hornets have been good, albeit not as good as they were last season. Chris Paul is, of course, playing out of his mind, but Tyson Chandler, their center, has had an awful season. And therefore, he became a target for inevitable salary cap cuts, and was finally cut from the team yesterday. They shipped him off to the bottom-dwelling Oklahoma City Thunder. The Thunder stink — there’s no question, but they’ve got a nice young nucleus of Kevin Durant, Jeff Green, and Russell Westbrook. Perhaps Tyson Chandler has a second wind in him, and will be the missing piece they need. And finally, speaking of New Orleans, the roster cutting wasn’t just in the hoops world, it was on the turf too. The New Orleans Saints also needed to get under the cap, and were forced to cut long-time Saints running-back Deuce McAlister. Deuce was supposed to be ‘The Man’ for New Orleans, especially after Ricky Williams parted ways with the team earlier in the decade. Unfortunately, McAlister was extremely injury prone and never really took off as a superstar running back. He will probably be a serviceable back-up running back next season. Now the question remains… can Reggie Bush finally become the workhorse tailback they desperately need him to be. Or is he destined to just be, gulp… decent? The lead story from the sports world came from college basketball, featuring a monster match-up between #4 Pittsburgh and #1 UCONN. Pitt had never beat a #1 team before, and UCONN was looking to extend their dominating win streak. The primary battle of the game was UCONN’s 7’3 Hasheem Thabeet against Pitt’s big boy DeJuan Blair. And the winner was… Pitt’s Blair. He put up the best performance of the season against the UCONN defensive superstar, scoring 22 points and grabbing 23 rebounds. And Pitt goes on to unseat #1 UCONN. Now, the Big East is deadlocked at the top between UCONN, Pitt, Louisville, and Marquette. Wow! The Big East tournament should be sensational. Pitt 76, UCONN 68. Two major stories: First up, it appears that the Jeff Garcia era is over in Tampa Bay. Garcia had a nice run with the Buccaneers, even leading them to the playoffs. 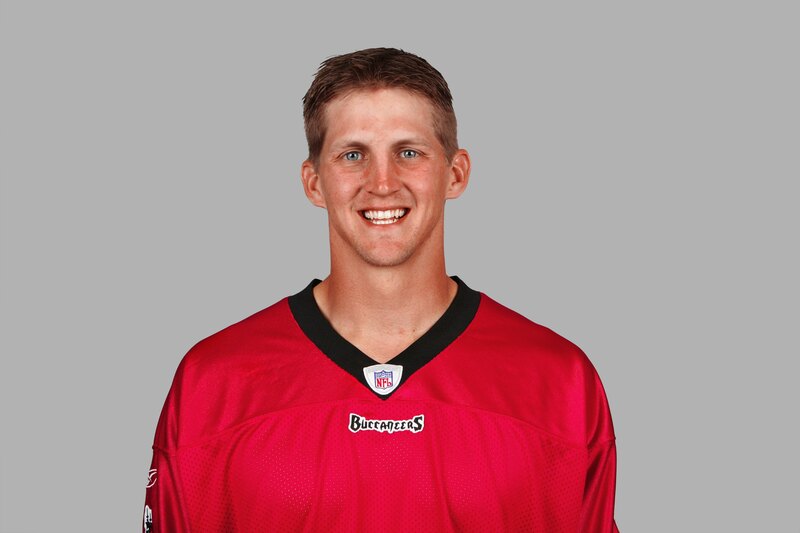 But the Bucs just re-signed a young quarterback, Luke McCown, and have decided, basically, that Garcia is just too old (39) and injury prone. This doesn’t mean that Garcia is out of the league; just that he’ll hit the free agency market. He’s still got some (football) life in him, and would make a great back up for a contender (say, in San Diego or something). Garcia said he has no resentment towards the Bucs organization, and said he will miss playing in front of their fans. The second story — it appears that after 11 years, the Jacksonville Jaguars are finally parting ways with running back Fred Taylor. Like Garcia, they decided to cut him and focus on their younger RB’s (like Maurice Jones-Drew). Taylor had an amazing career in Jacksonville, rushing for over 11,000 yards. He’s even 5th on the list of most rushing yards by a running back for a single team. Taylor was hoping to finish his career in Jacksonville (as most players want to become the franchise guy, then eventually say goodbye to that city), however, it’s just not going to happen for him. But you really have to hand it to Taylor, as the last five seasons, people have passed him up in fantasy football drafts, thinking he’s done and won’t produce. And each time, Taylor proved us wrong. That guy is resilient! Look to see Taylor in a new jersey next year, playing in a key back-up role. Finally, speaking of players finishing their career where they started, it appears that Tom Glavine, the only active 300-game winner in baseball, might be coming back to the Atlanta Braves. Glavine was part of the superstar Atlanta pitching rotation during the 1990s that kept the Braves in the playoffs almost every year. Dominating the NL East was never a surprise with the attack of Glavine, Greg Maddux, and John Smoltz. You just can’t blame a player for wanting to receive a standing ovation every time he takes the mound during his final years. Atlanta will definitely welcome back Glavine with open arms. Last night, it was the main event: The NBA All-Star Game. East meets West for a defense-free night of spectacular offense. The West had more big guns, but the East had LeBron James. This game also was the first time that Kobe Bryant and Shaquille O’ Neal were on the same team again. They’ve been feuding ever since Shaq left the Lakers, and Shaq wears his hatred of Kobe on his sleeve. However, on the court they seemed quite merry, and even hooked up for some incredible plays. And the games’ MVP… Not one, but two. That’s right, Shaq and Kobe were co-MVP’s of the game. Many expected these two to completely ignore each other, but they were nothing but smiles all night. They even sat next to each other on the bench. When you see this kind of imagery, you have to wonder how much the media played up this contentious relationship. Sure, they have a messy past, but they might not think about this “rivalry” as much as the fans and media do. WEST 146, EAST 119. However, while the all-star game was definitely Phoenix’s biggest sports story this weekend, their second most notable story is the loss of their coach. That’s right, the Suns have decided to part ways with current head coach Terry Porter. The Suns have been underwhelming this season, and don’t look like a team that will go deep into the playoffs. Porter will be replaced by Alvin Gentry, the assistant coach, whom the players apparently really like. This is the second time Porter has been fired as a head coach (the other in Milwaukee), and one wonders if yet another team will give him a head coaching shot. Yesterday was the classic DAYTONA 500. If you win this, you will forever have respect from the NASCAR elite. The race took place on a very muggy and rainy day, but that didn’t prevent the fans from coming out. It got a little scary when there was a 10 car accident in the middle of the race. But fortunately, nobody was seriously injured. 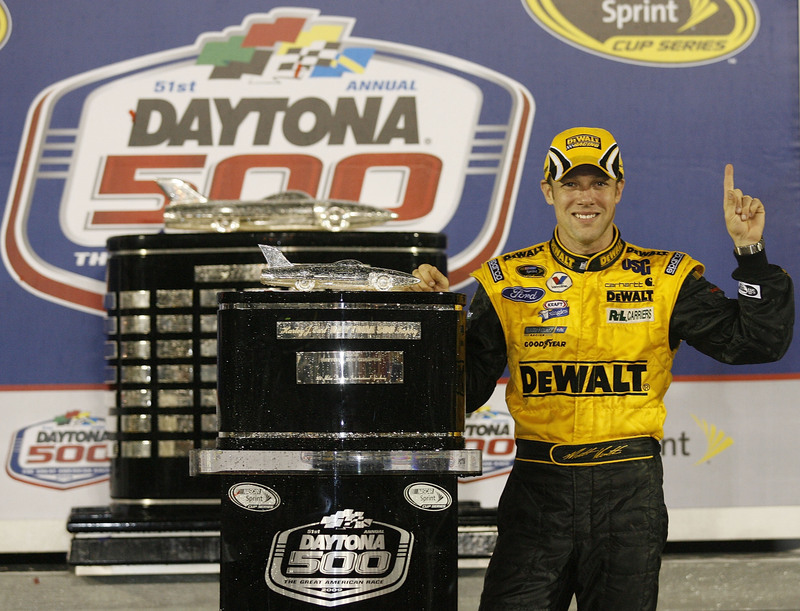 Towards the end, Matt Kenseth took the lead — and then, the rain came down. And it had no intentions of stopping. 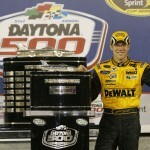 So the race was cut short, and Matt Kenseth was declared the default winner. Matt has never won anything of this caliber, and to have the Daytona 500 under his belt now is truly amazing, and will most likely be the high point of his career.